I finally got around to getting my hair cut today! It was about a month overdue, pretty ridiculous- I know. It was getting really long, about level with the bottom of my shoulder blades. My teacher actually cut my hair which was really cool because my classmates got the chance to observe. Though she felt bad cutting so much length off- she asked me about 10 times if I was sure. Unlike some ladies with long hair, I'm not actually that emotionally attached to my locks! I figure that it'll grow back at some point and that I could use a little change of look! 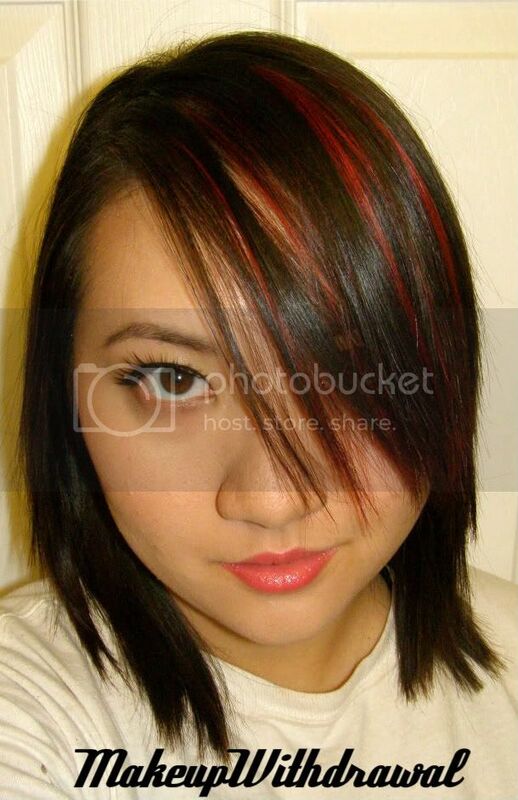 I also had red highlights put in the front fringe area, but I'm thinking of going back for some more. 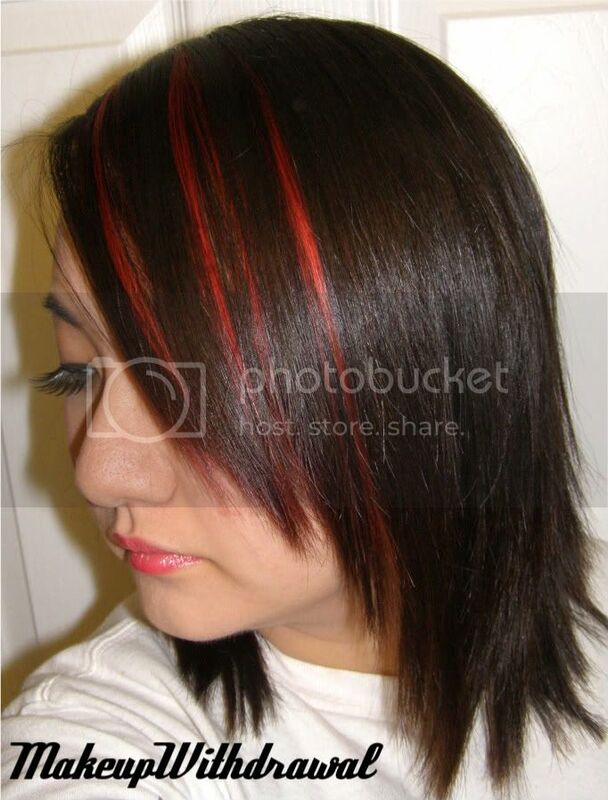 My hair isn't really styled in those pictures yet- I think I'll use some wax spray to make it more piecey and a shine spray to well... add shine. We'll see! This was a very fast FOTD. Basically I slapped on lipstick and false lashes and called it a day. Eyes: MAC Blacktrack Fluidline, Rock & Republic Fatalistic shadow, Korean false lashes from eBay. Face: LORAC AquaPrime, MUFE Full Cover, MUFE Mat Velvet, Lacura Compact Powder, MAC Marine Life. So, how attached to your hair are you? Would you cry if it was cut too short?